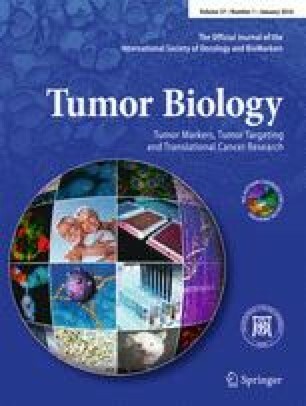 Increasing attention has been focused on the malignant tumor microenvironment, which plays important roles in tumor occurrence, progression and metastasis. Fibroblasts are recruited by platelet-derived growth factor (PDGFs) and invade the tumor microenvironment. In the PDGF family, PDGF-B has been reported to play an important role in the recruitment and invasion programs. However, whether PDGF-D plays a role in these programs remains unclear. We generated a recombinant plasmid expressing human PDGF-D and transfected the plasmid to dermal fibroblasts to examine the effects on cell invasive activities in 3D type I collagen gels. PDGF-D plasmid transfection enhanced fibroblast invasive activities both in invasive cell numbers and invasion depth in 3D collagen gels. These effects were blocked by Snail-specific siRNA transfection. PDGF-D transfection significantly induced Snail expression at both mRNA and protein levels. PDGF-D further upregulated MT1-MMP mRNA and protein expressions and this was inhibited when Snail was knocked down by siRNA. Both Snail and MT1-MMP expressions in fibroblasts and cellular invasive activities in 3D collagen induced by PDGF-D were inhibited by LY294002, SP600125, and U1026, the inhibitors of PI3K, JNK, and ERK1/2 signaling pathways, respectively. However, no effects were observed in response to the P38MAPK signaling pathway inhibitor SB203580. These effects of PDGF-D were confirmed by using the culture supernatants of the transfectants. Taken together, these data demonstrate that PDGF-D plays important roles in the recruitment and invasion programs of fibroblasts via the activation of PI3K, JNK and ERK1/2 signaling pathways, and upregulation of Snail and downstream effecter MT1-MMP. These findings indicate that PDGF-D is an important player in the tumor microenvironment for fibroblast recruitment. Zhuo Qin, Jinfa Feng and Yusi Liu contributed equally to this work. The online version of this article (doi: 10.1007/s13277-015-3828-x) contains supplementary material, which is available to authorized users. This work was supported by the National Natural Science Foundation of China (81272376) and the Scientific Research Foundation for the Returned Overseas Chinese Scholars Heilongjiang Province (LC201010), and the Graduate Innovation Foundation (Harbin Medical University).